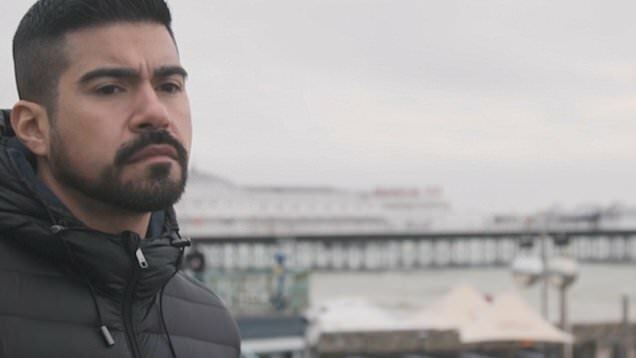 However, the person who uploaded the video wrote that the town centre scrap escalated from an argument over a disabled parking spot started by the older man. They quoted a supposed witness who said: 'As someone who saw this whole thing of the video started right from the beginning maybe there wouldn't be so much sympathy for the old man! 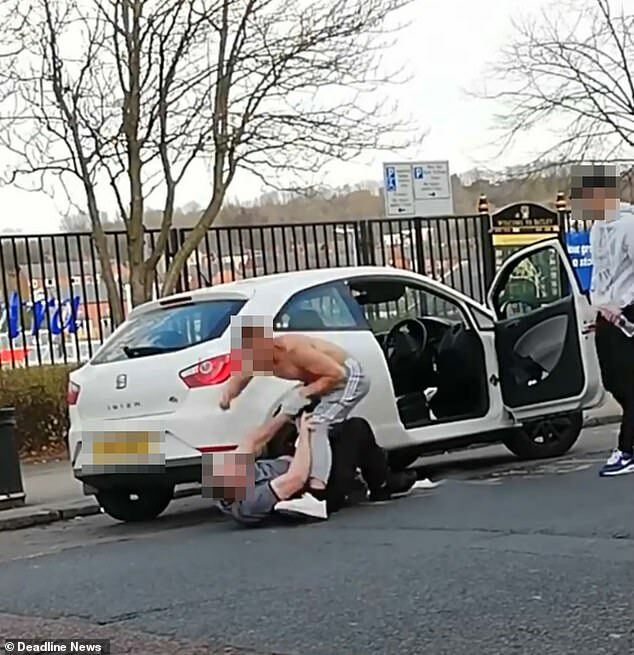 'A man who wasn't driving just walking by took offence to them being parked there and dragged the lad out of the car! 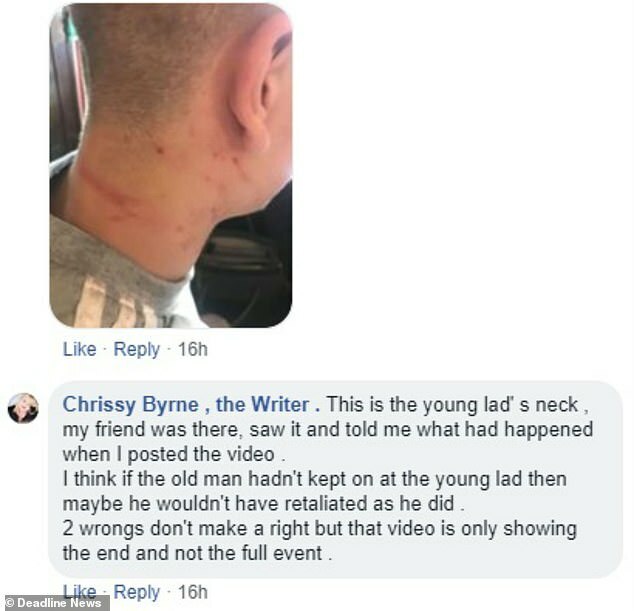 And a photograph posted in the comments shows the young man with red marks around his neck suggesting that the older man forcefully grabbed him. However, there were also Facebook users who did not believe the younger man acted appropriately. Andy White said: 'Guys a w*****. Doesn't need to result to being violent and beating on someone who's probably old enough to be his granddad.